Enjoying a picnic with the family can be made even more fun if only you have a portable table that will not really occupy too much space in your bag, is lightweight enough to be carried even by your kids, and sturdy enough to hold up to 55 pounds of your picnic items without ever crumbling down. 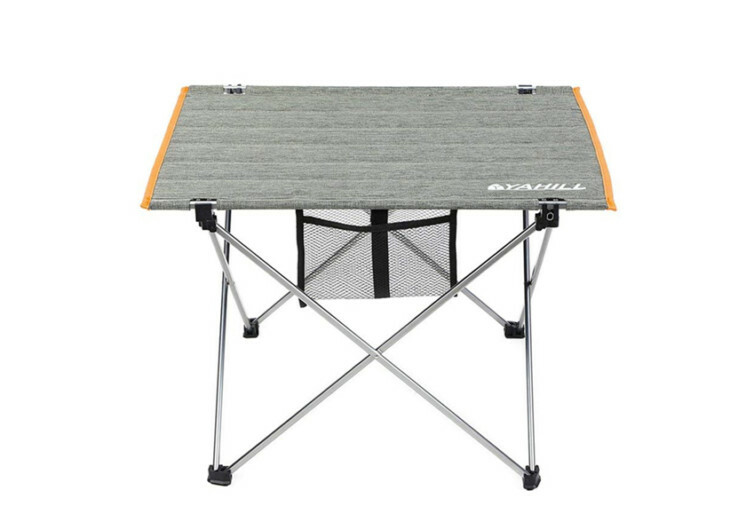 Well, your prayers have been answered by the YAHILL Aluminum Folding Collapsible Camping Table. 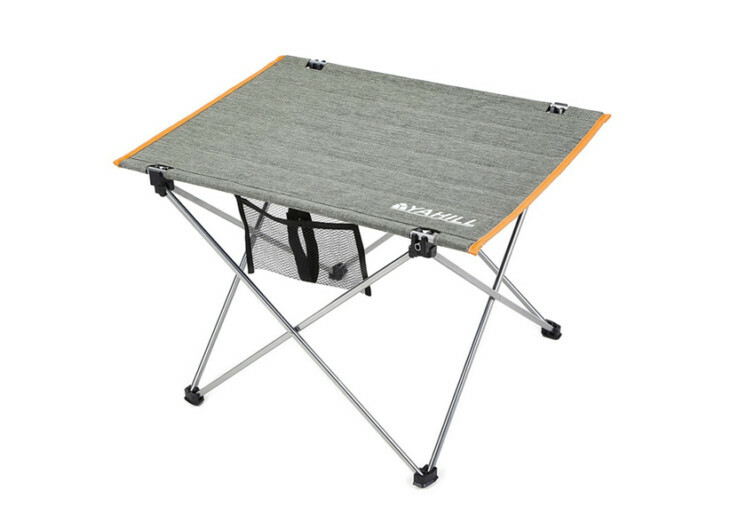 Available in 3 sizes with maximum load bearing capacities of 33, 44, and 55 pounds, you now have the right table for all those outdoor excursions you’ve always wanted to spend with your family. 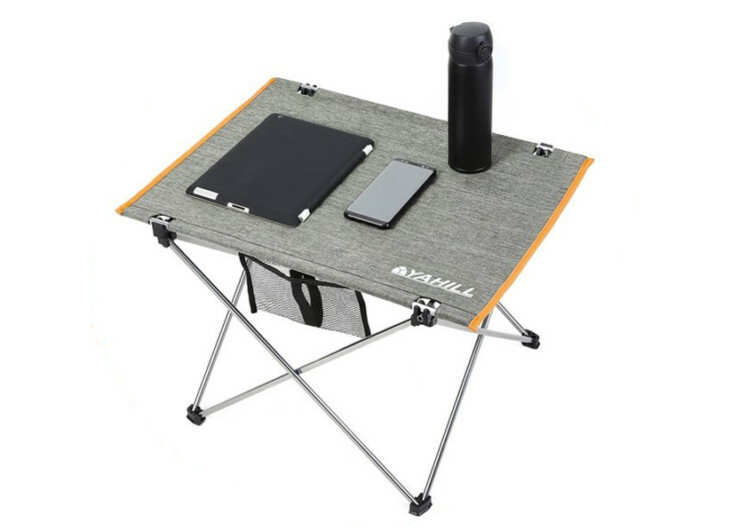 Most conventional folding picnic or camping tables come with a rigid table platform which, unfortunately, will still take up plenty of space. 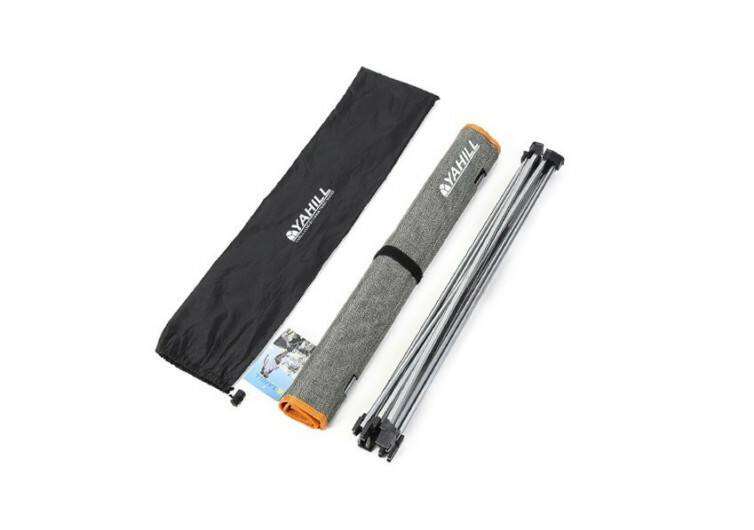 The YAHILL employs strips of extra-lightweight yet super heavy-duty aluminum inserted into lengthy pockets on a heavy-duty polyester canvas. Think of it like your window blind that is made up of individual strips and joined together by a drawstring or some other similar mechanism. The YAHILL is technically like this, except that there are no strings attached. The polyester fabric is what gives the table a hole-less structure while the aluminum strips give it rigidity. When combined, you can easily roll the system as if rolling a mat. 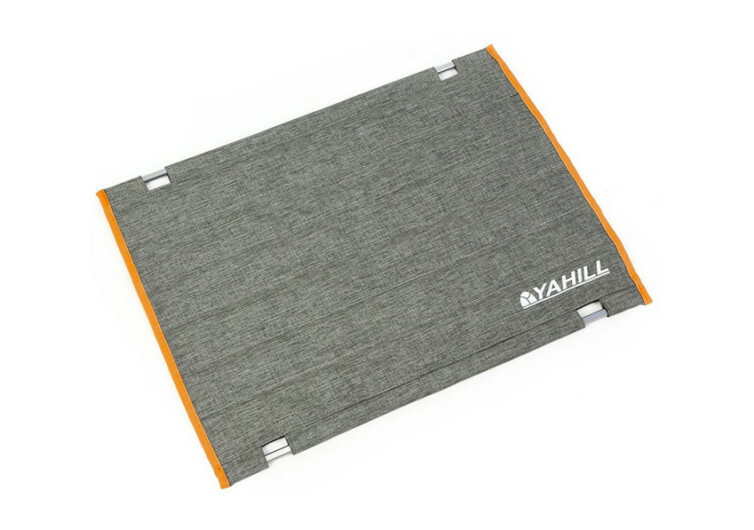 Easy to install, the YAHILL already features heavy-duty fasteners that can be easily accessed. 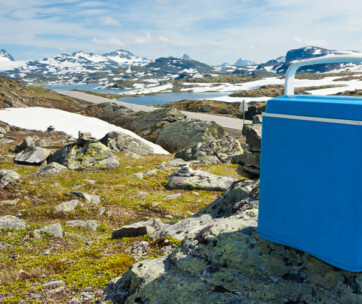 This allows instantaneous setups so you can get right to the fun part of picnicking. The feet also come with non-slip grooves that secure your table. 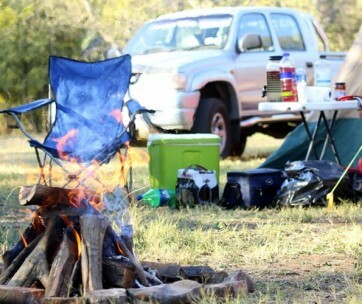 It’s what you need to have that peace of mind leaving your things on top of the table while you go out and have fun. There is also a built-in net bag on the side of the YAHILL; perfect for keeping small items like cell phones, car keys, or perhaps your nifty multitool EDC. Whatever you decide to put in there, you’ll be glad that it’s always within your reach. 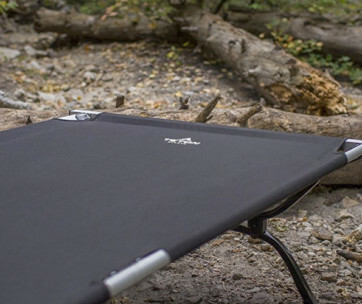 The YAHILL Camping Table may not be able to lift all of your things, but it sure is lightweight and sturdy that you’ll never have qualms carrying it around.